Crowd gathers for the raffle - who will be called next?! View available works by clicking on "Download Catalogue" link at left! 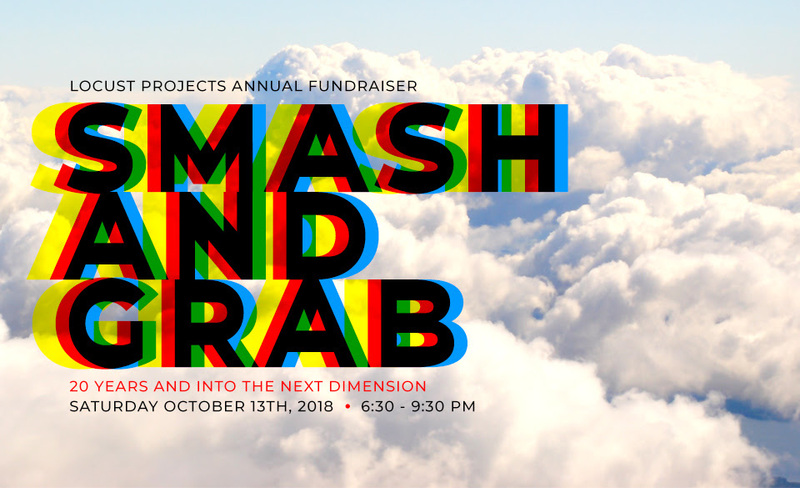 Ticket price includes fabulous food by Shake Shack, Harry's Pizzeria and 222 Taco, craft beer by Concrete Beach Brewery, and bar by Bacardi. Music provided by The Rhythm Foundation DJs Par, Benton, and Ricardo. There is no other fundraiser quite like this one. The lively event revolves around a raffle, for which over one hundred local, national and international artists have donated artwork — enough so that each raffle ticket is guaranteed to win an artwork. Tickets are drawn at random during the party, with the winner getting their choice of artwork (i.e, first called gets first pick, and so on). 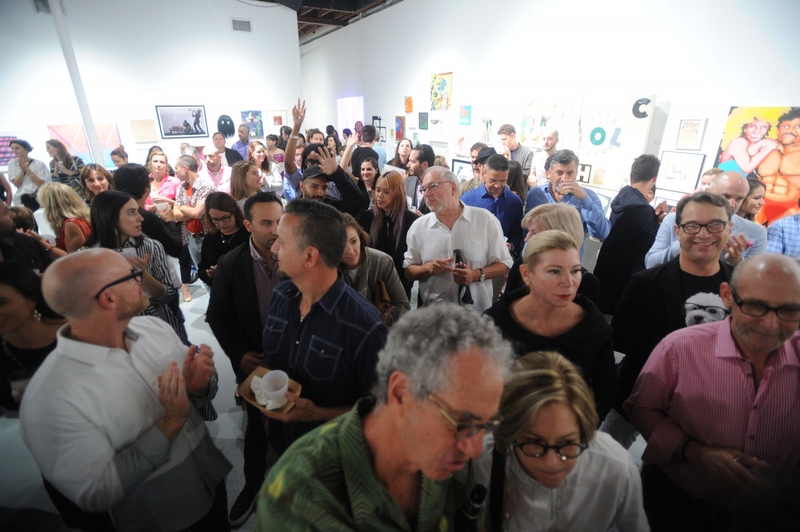 The result is a fun way to place artwork into collections, build visibility for artists, connect with Miami’s art community, and support Locust Projects. This event SELLS OUT EVERY YEAR so BUY YOUR TICKET TODAY!